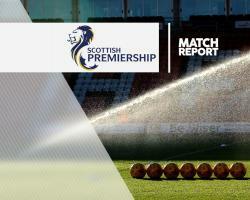 Inverness staved off relegation for at least another week with a 2-1 win over Hamilton. First-half goals from Brad McKay and Greg Tansey earned the home side a comfortable victory against poor opposition, who only seriously threatened when Danny Redmond scored with the last kick of the game. Richie Foran's side were seven points adrift of Motherwell in 11th prior to kick-off, with the Steelmen taking on Ross County later on Saturday. Hamilton made one switch, replacing Blair Adams with Giannis Skondras. He drifted infield to tee up Anier, who fired wide. And Anier won the free-kick which led to the opening goal in the 10th minute. Tansey lifted in a delivery to the back post that the sliding Brad McKay turned in for his first goal for the club. Manager Foran had demanded more pride and passion from his players, but it was their intensity that Hamilton struggled to cope with. Draper stole possession from Rakish Bingham 30 yards from goal and laid on a chance for Billy McKay, who could only shoot straight at Remi Matthews. At times it looked like a training game for Inverness, who were showing the same profligacy that has dogged them all season. Alex Fisher somehow missed a header from four yards when Matthews parried a Tansey drive, then Billy McKay had an age to pick his spot from just inside the area and dragged his shot wide. But Inverness got the second goal they deserved after 36 minutes when Draper was dragged down by Massimo Donati from a Tansey free-kick, with Tansey himself tucking away the resulting penalty. Hamilton fired a couple of warning shots across the bows at the start of the second half, with Dougie Imrie and Greg Docherty sending chances wide. They should have had a penalty too, with goalkeeper Ryan Esson coming straight through the back of Ali Crawford in an attempt to claim the ball. But, despite having the majority of the ball around the Caley Thistle box, they failed to force a save out of Esson. Anier had a chance to grab a third for Inverness, but blasted wide on the turn before Redmond scrambled in a late consolation in stoppage time.